The Trust's support comes at an important time as in 2018 Cavell Nurses' Trust experienced its highest number of enquiries from nursing professionals seeking help. ► 91% said the support positively affected their mental health. ► 83% said the support they received positively affected their physical health. ► 76% said the support they received helped them get back to, or stay in, work. Nursing professionals can apply to Cavell Nurses' Trust for advice and financial assistance by visiting their website or by calling them on:- 01527 595999. You can also find out more about Cavell Nurses' Trust at:- CavellNursesTrust.Org. 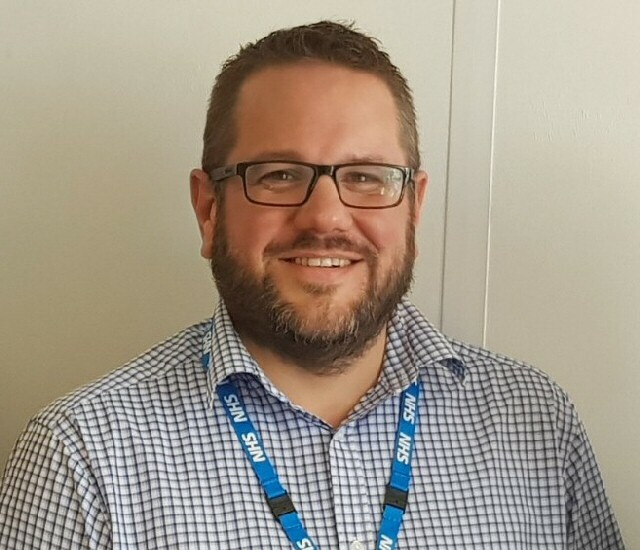 Chief Executive, John Orchard, commented:- "I'm so pleased to welcome Southport and Ormskirk Hospital NHS Trust to our membership programme. Cavell Nurses' Trust is here for nursing professionals when they face difficult circumstances and I'm delighted that through our partnership we can highlight the support available to nursing professionals at the Trust." A brave survivor of harmful practices who was forced to flee her family rather than be subjected to a forced marriage has urged other victims to seek support in a new film released to mark:- 'International Day of Zero Tolerance for Female Genital Mutilation.' Kiara Mohamed was subjected to FGM as a young girl and was later told by her family she would die a spinster unless she agreed to be married against her will. 10 years ago, she was forced to flee her family home in London with nothing in order to escape to Liverpool, where she started a new life. After years of recovery, Kiara now volunteers for Merseyside based, independent charity Savera UK supporting other victims and potential victims of harmful practices. The poet, photographer and filmmaker has spoken out about her experiences in a powerful short new film aimed at encouraging anyone affected by forced marriage, FGM or so-called:- 'honour' based abuse to get help. Kiara, who also co-founded podcast Black Liver Birds, hopes her story will show others there is:- 'light at the end of the tunnel' and give them the confidence to contact Savera UK for help. Watch the film at on YouTube. Savera UK are commissioned by Merseyside's Police Commissioner, Jane Kennedy, to deliver a dedicated harmful practice support service across Merseyside. It aims to support all victims and potential victims of harmful practices, and raise awareness and understanding of these hugely damaging crimes as part of the Victim Care Merseyside service. Produced by the Commissioner's office, the new 4 minute video aims to promote the support Savera UK can offer to anyone affected by these harmful cultural traditions. 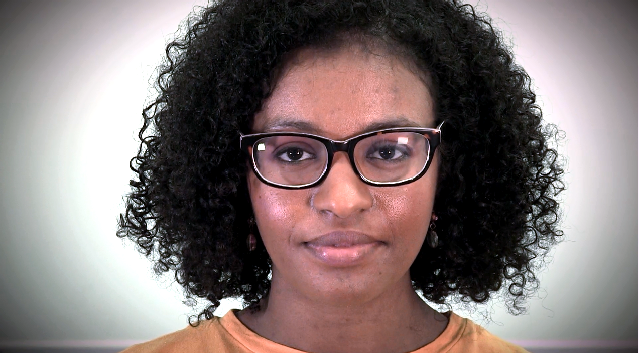 Kiara has also released a video of a poem she wrote herself detailing her experiences and explaining why she has forgiven family relatives, including her grandmother, available now, also on YouTube. Kiara said:- "When I was 19 years old I was about to be married off to somebody whom I did not agree to. I was told by family members that the only way I'd ever leave home was either be married off or I had passed away as a spinster. When it was getting closer to the wedding I left that home and didn't go back and that was almost 10 years ago. Charities like Savera, they offer that refuge where women can come and talk and be signposted to the right services. I spent a decade working on my mental state to be able to look back and be like, 'yes that happened to me' and 'yes it was horrific,' but there is hope and I hope that other women understand that there is light at the end of the tunnel." The video has been released to mark International Day of Zero Tolerance for Female Genital Mutilation. The United Nations sponsored annual awareness day has been held annually on 6 February since 2003, as part of the UN's efforts to eradicate female genital mutilation around the globe, including in England, where an estimated 60,000 girls are thought to be at risk of FGM. It also features interviews with the charity's Founder and Chair Afrah Qassim, and its patron and former Chief Crown Prosecutor for the North West, Nazir Afzal OBE. Afrah, who founded the charity in 2010 with the aim of addressing, challenging and providing the tools to tackle these cultural taboos, said:- "When someone contacts us, the 1st question we ask is, 'Are they safe?' If they're not safe, then we will straight away put them in contact with the Police. Once they are in a safe place or we have secured their safety, then we will be working with them and providing holistic support wherever's needed." Patron Nazir Afzal said:- "Society is judged by how it looks after its most vulnerable and Savera has been working for years, tirelessly, in protecting the most vulnerable, particularly those from minority communities who wouldn't ordinarily have a voice or the opportunity to seek help. The start of any journey is to seek help, what I hope Savera can do is, be prepared to listen, are able to signpost you for help when they don't have the ability themselves to help - it's absolutely essential that you seek help." Savera UK have also been working with young people who had been working on a FGM photography and art project, which will be featured at the National FGM Centre in London today before being launched, in Liverpool, ahead of 'International Women's Day' that is celebrated on 8 March, every year. Merseyside's Police and Crime Commissioner, Jane Kennedy, has commissioned Savera UK since July 2018. She said:- "I'm proud to be working with Savera UK to deliver this important service raising awareness of harmful practices and protecting and supporting victims and potential victims. Sadly, harmful practices are still very much a hidden crime. They are also significantly under-reported. We know that there may be only 1 chance, 1 window of opportunity, to reach out and save a person who may be in harm's way. If we don't, that person may walk out the door and, in the very worst of cases, may never be seen again. That's why it is essential that we do everything possible to increase understanding and knowledge of these issues and let victims and potential victims know that there are people who can help, people who understand what they are going through. I'd like to thank Kiara for her bravery in speaking out about her own experiences. I have no doubt her emotive and hugely powerful story will give other people who are experiencing harmful practices hope. I would urge anyone affected by these issues to speak out and get help either from Merseyside Police or from Savera UK"
Watch the video now via clicking on here. If you, or someone you know has been affected by harmful practices, you can contact Savera UK directly by calling:- 0800 107 0726 or sending them an email. You can also report any concerns or crimes to Merseyside Police by phoning:- 101 or contacting the social media desk via Twitter. Anyone affected by crime can visit:- VictimCareMerseyside.Org for help and advice and to find organisations that can offer support. IN response to NHS England's latest:- 'Winter Situation Reports,' Nick Ville, Director of Policy at the NHS Confederation, said:- "These statistics pay tribute to NHS staff who work in high pressure environments across the country, every minute, hour and day. The NHS is coping better with demand this year, despite the cold snap. However, we are still seeing ambulance delays and high bed occupancy rates, including over 800 beds closed due to flu and Norovirus. Patients can take some comfort that the NHS has not buckled under the weight of winter pressures. Local services will be fearful of the threat posed by cold weather and flu and Norovirus which could strike at any time. But the signs so far this winter are very good. The NHS needs to get through this winter while making the changes that will put local services on a more sustainable footing. The NHS Long Term Plan's emphasis on joined up community care is good news for patients and for staff, who should see some of this intense pressure ease if the plan is implemented well."